Yep, that’s right. Eighty cents. That’s what Instacart actually paid Tom, an Instacart worker, for 69 minutes of his time . In other words, Instacart is now confirming what workers have been saying since the change in pay structure: that the company is actually using customers’ tips to pay workers’ wages. 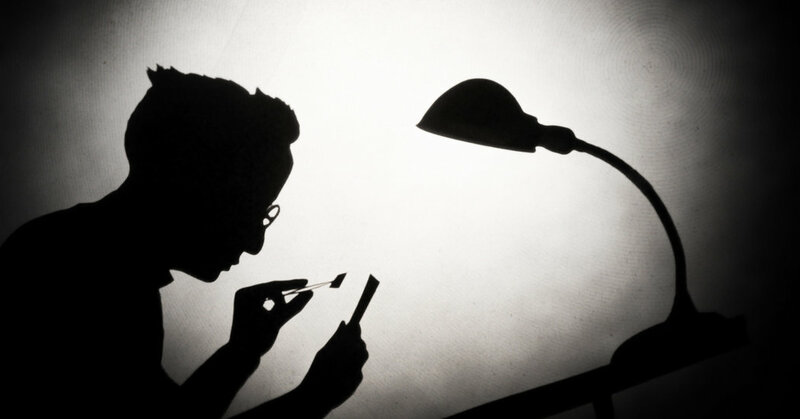 When a customer tips up-front, it doesnʼt mean extra money for the worker. 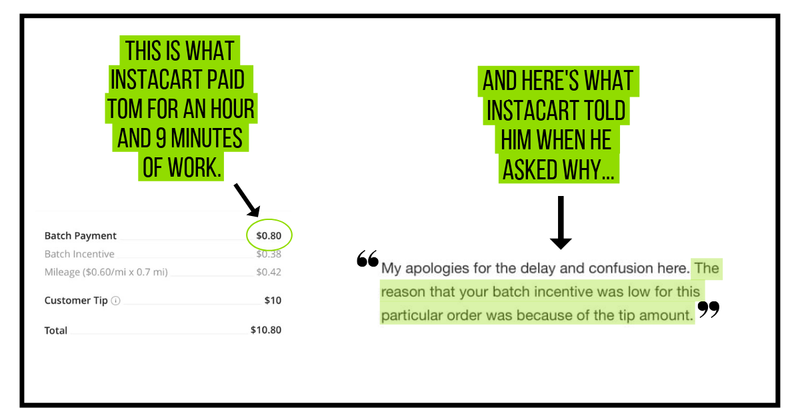 Instacart just pays the worker less to make up for it. Thatʼs right: the customerʼs tip doesnʼt get added to the workerʼs check — it just gets deducted from what Instacart pays. In other words, up-front tips go to Instacart, not to the worker.